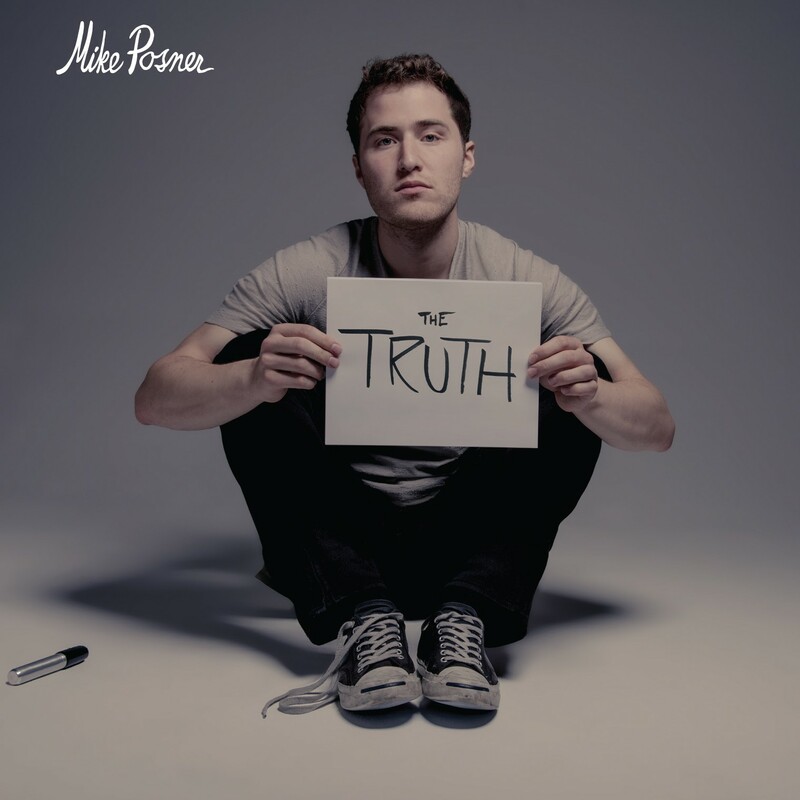 The Truth, a new four-track EP from singer Mike Posner, is described by the man himself as “four songs selected from my upcoming album. They are best listened to the way they were written: at night, and alone. I hope you enjoy.” Well it is 12:45 AM in Chicago, and I’m laying in bed with just my laptop, while the four records play on repeat. And that’s the truth. Taking Mike’s advice, and even if you don’t, The Truth, is an amazing introduction to Mike Posner’s sophomore album, a sophomore album that fans have been waiting for (and for many years). And if this is your first introduction to Posner, or if you want a reminder, Mike Posner is a singer from Detroit, whose solid fan base (which he built from rap-influence pop mixtapes, made during his time at Duke University) help launch his first big hit, ‘Cooler Than Me’, the summer anthem of 2010. After a long solo hiatus, producing hits for artists like Justin Bieber, scraping a number of sophomore album attempts, and his first number one record (with Maroon 5’s ‘Sugar’), we now are finally on the verge of “the new Mike Posner” with The Truth. The EP’s first track is ‘I Took a Pill in Ibiza’, a record Mike shared with fans back in April. This track was also the first taste fans had of Mike Posner’s new sound. Speaking on the record, Mike told fans that while he was working with Country music star Jake Owen, Owen particularly enjoyed one of Mike’s songs and asked about its inspiration. When Posner responded that the song was about one girl he used to mess around with, mixed with another girl he used to mess around with, and that some of it was made up. Owen then asked “Why don’t you just tell the truth?”, advice that struck home with Posner and inspired him to write The Truth‘s first track, ‘I Took a Pill in Ibiza’. This advice too seems to be the influence for Posner’s new sound. Not only is ‘I Took a Pill in Ibiza’ raw and personal, but Posner does not shy away from showing humility. ‘I Took a Pill in Ibiza’ has obvious country and folk influences, which contrast immensely from the rap influenced pop records that Posner used to record in his dorm room. However, like his projects to date, you can’t quite put Mike Posner’s music into one specific genre, which creates for a unique appeal. Now with The Truth, and on his forthcoming LP, Mike blurs the lines between new genres and not just between rap and pop. Sticking with Owen’s advice, Mike gets even more personal and honest with ‘Buried In Detroit’. Returning to his roots, Mike sings about his hometown and mortality in The Truth‘s second track. “Next to my father, and my father’s father too, I used to live in New York City but baby that ain’t no substitute. Not for my hometown, that place people avoid. I’ve made love in every city but I’ll be buried in Detroit,” sings Posner on the hook. This track may be the best record on the EP, which has no fillers, and it stands out with how it showcases Posner’s beautiful songwriting. ‘Not That Simple’, the third song on the four-track EP, is the most similar to previous Mike Posner records. Like many classic Mike Posner songs, it centers around a girl and features great production from Posner himself. In the track, Mike sings about trying to get over a girl that he fell for before the fame, but who left him for another guy as the his notoriety rose. “Now you’re just someone in my mind, that used to be mine,” sings Posner on ‘Not That Simple’. ‘Not That Simple’ is a great track for those who perhaps need a transition into Posner’s new sound. Finally, the EP’s last track ‘Be As You Are’, which you may guess from its title, is The Truth‘s most uplifting record. Especially in the last half of the EP, you notice subtle details in the production that may not have been included in Mike Posner’s previous projects. Is Mike simply surrounding himself around a better cast of musicians, or has his past few years of writing and producing for others artists helped him become a perfectionist in his sound? Either way, the improvement in certainly noticeable. The Truth is a fitting title to segue into Posner’s sophomore release. More than ever, Mike Posner is singing as Mike Posner. When you get royalties and are sought after for your songwriting, it is easy to make a record that anyone can sing. Now Mike Posner is making music that only Mike Posner can sing. This is not to say that Posner’s debut album (31 Minutes to Takeoff) did not have its personal moments (it certainly did). But with Mike’s new sound and inspiration, he is taking a step up from his studio debut, and his investment in his own sound and art sure seems like it is going to pay high dividends with his sophomore release. Stream The Truth now on Soundcloud.